What is the Best Way to Reheat Fried Chicken? You'll Love This Answer! Have you ever tried to eat a soggy piece of fried chicken? It tastes disgusting, right? This usually happens when you reheat fried chicken incorrectly. I always want my fried chicken crispy and juicy, even when it’s reheated after spending a day in the fridge. Thankfully, I’ve discovered the best way to reheat fried chicken, and I’m going to share it with you. This is probably the worst way to reheat fried chicken. Using a microwave not only bombards your chicken with harmful radiation, it also makes the skin soggy and the meat rubbery. This combination is a definite no-no for fried chicken, so I highly advise you to steer clear of this method unless you’re in a real hurry. Using an oven toaster to reheat fried chicken is only marginally better than using a microwave. In theory, the toaster’s heating system can make the chicken skin crispy. However, most toasters simply do not have enough power to heat the chicken evenly, so you’ll just end up with a hot exterior but a cold interior. If you think refrying chicken in a skillet is a good idea, think again. Unless you fill up the skillet with cooking oil (something it’s not designed for), you won’t be able to fry the chicken evenly. This will most likely result in an unevenly cooked fried chicken, with one side soggy with oil, and the other dry and flaky. 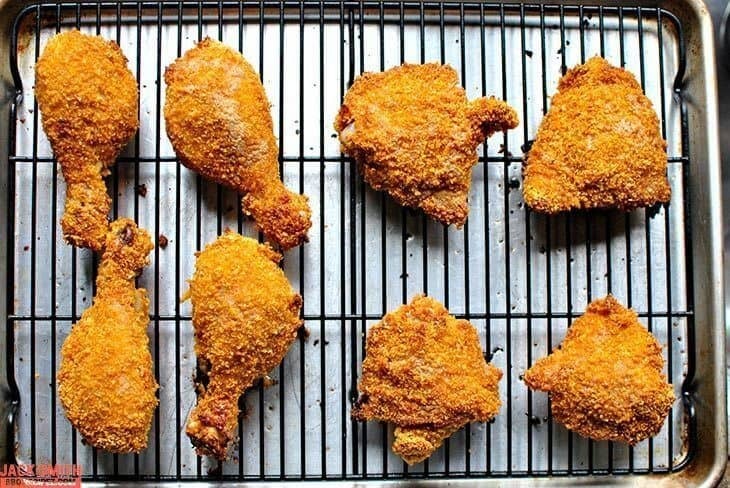 ​Chefs and food experts all agree that reheating fried chicken in an oven is the best way to go. This method ensures that the meat is reheated evenly, while the skin remains crispy and delicious. I have discovered two ways to reheat fried chicken using an oven. I prefer the first one, but the second method also works, especially if you’re in a hurry to eat that chicken. 1. Take out your leftover fried chicken pieces from the fridge and let them sit in room temperature for at least 30 minutes. 2. Preheat the oven to 400°F (205°C). Set the wire rack on the baking sheet and place the chicken pieces on top of it. 3. Place the chicken pieces in the oven and reheat until they reach an internal temperature of 120°F (49°C). You can use a meat thermometer to check their temperature. Note that chicken breasts take longer to reheat (about 14-18 minutes), while chicken legs and thighs take about 8-12 minutes. Preheat your oven to 500°F (260°C). Line a microwave-proof plate with 1 to 2 damp paper towels. Put your fried chicken pieces on the plate and cover them with another damp paper towel. Heat the chicken in the microwave for 2 minutes. Transfer the chicken on a baking tray and heat in the oven for 1 minute. Remove from the oven and flip the chicken pieces over. Put back in the oven and cook for another minute. Although the second method is quicker, I still prefer the first method because it doesn’t require the use of a microwave. But What If I Don’t Own an Oven? 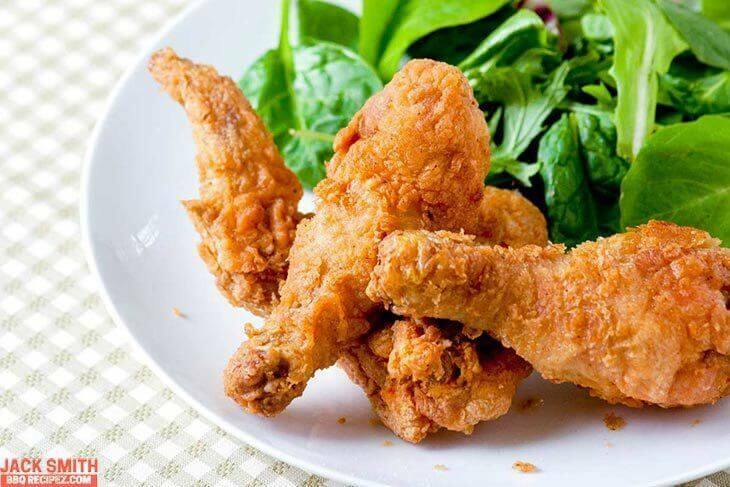 If you don’t have an oven at home, you can still reheat fried chicken pieces by deep-frying them. This is different from reheating using a skillet, because you need to submerge each piece in cooking oil so that it can cook evenly. Let the chicken pieces sit in room temperature for at least 30 minutes. 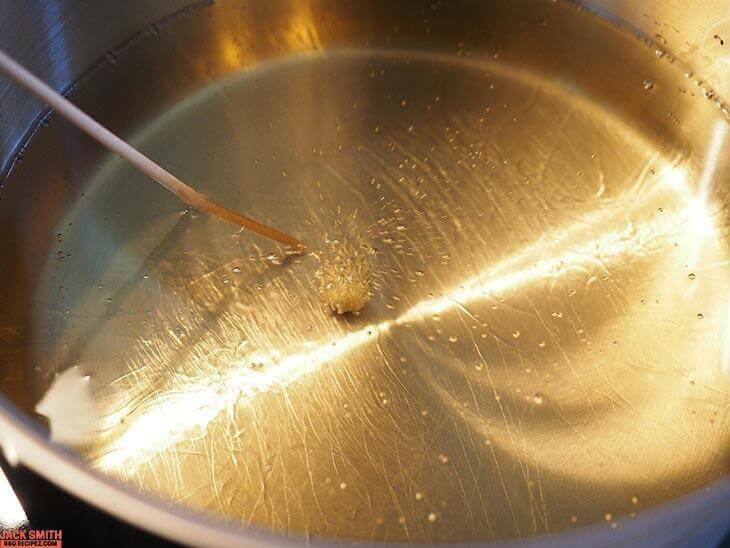 Heat the pan over high heat and add enough frying oil so that at least 2/3 of your chicken will be submerged. Using a pair of tongs, carefully drop the chicken pieces into the pan and fry for 2-3 minutes. Turn the pieces regularly so that the skin and meat will cook evenly. Remove the chicken pieces from the pan and place on top of the wire rack. Allow the oil to drip down for 3- 5 minutes. Don’t settle for dry or soggy chicken just because you’re in a hurry to eat it. 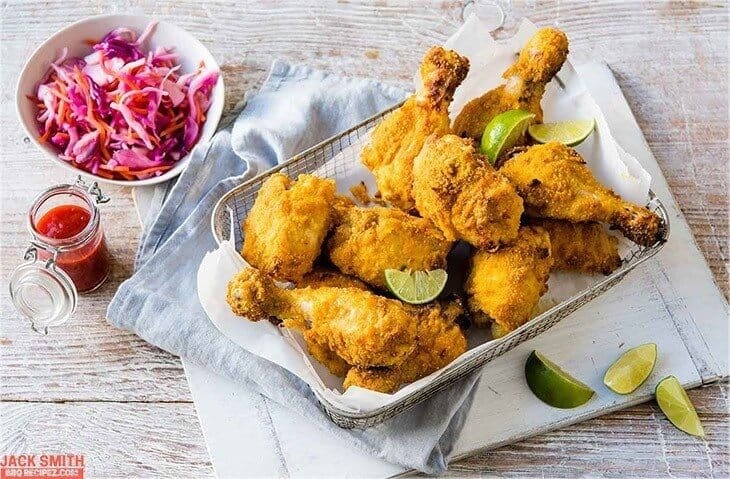 Fried chicken is best eaten when the skin is crispy and the meat is juicy. Remember: Avoid the microwave or the skillet. Use an oven or heavy pan instead. The reheating time will take longer, but the finished product will be so much better. Is this article helpful? I’d love to hear your comments. Also, please take the time to share this article and all my recipe with your friends. Enjoy eating that crispy, juicy fried chicken! The microwave really just ruins most things. Great post – I totally agree that the oven is the best way! I agree who wants soggy chicken. Great post on how to crisp the chicken up and will give this a try. This is a great tip! Next time we have leftover fried chicken I will keep this in mind! Oh for sure! Fried chicken is hideous in the microwave! I haven’t refried it in oil though. Does it taste extra greasy if you heat in this manner? What an awesome idea! I hate having soggy leftovers but wouldn’t have thought to bake it or deep fry it to heat it up!